I love creating holiday projects, but truthfully, I am not one to gravitate towards typical red and pink valentine product! I created this "valentines" layout to document some of the most influential ladies from my life. My Great Grandma Louise whom passed away when I was just 17, My great Aunt Alice who lost the battle to lung cancer when I was around 10 years of age, and My husbands sweet Nana whom just made her way to heaven after years of battling cancer as well. I am a firm believer that our past creates the people we are today, and therefore owe a lot to these influential women for helping to create the woman I am proud to be today! I found all of my awesome papers to create my background at My Scraps and More of course!! A great mix of studio calico and pebbles papers! And I finally got around to purchasing and using one of those fabulous burlap bows from Fancy pants!! 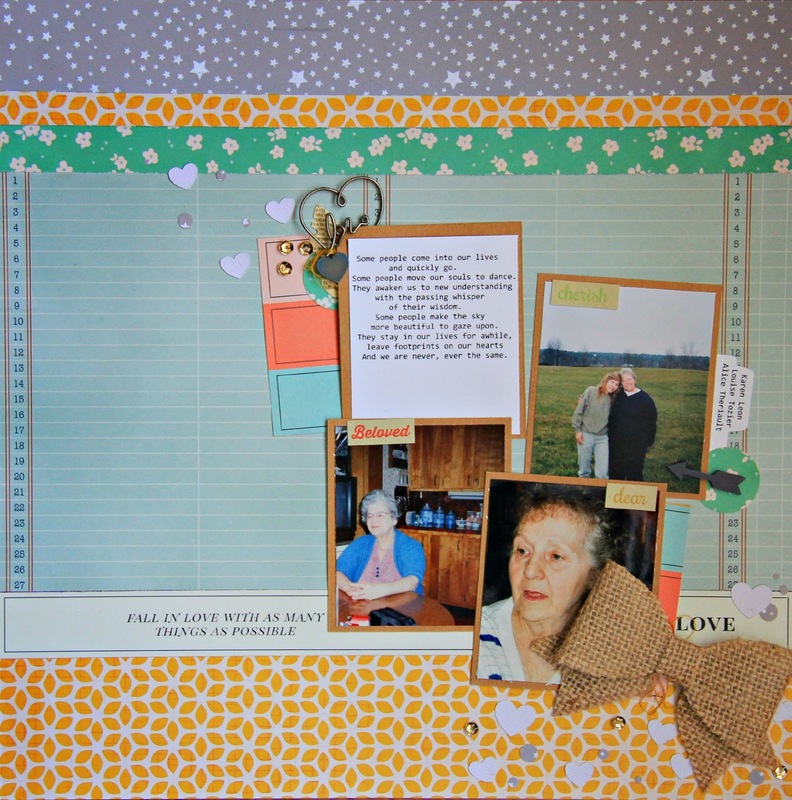 I found the greatest quote to use on this layout , just perfect for how our hearts feel after the passing of loved ones! If you are loving any of the products posted here, you should certainly hop on over to the My Scraps and More store, where you can get another 20% off your purchases this month, and be on the lookout for all the new product coming in this week!!!! This is gorgeous! A beautiful tribute to the women in your life!!! I love it!!!!!!! such a stunning tribute page to some wonderful ladies!!! love your layout!! !